This plugin does not require any parameters other than the standard contactId and App. If no additional parameters are passed, the newest (latest) subscription will be activated immediately. 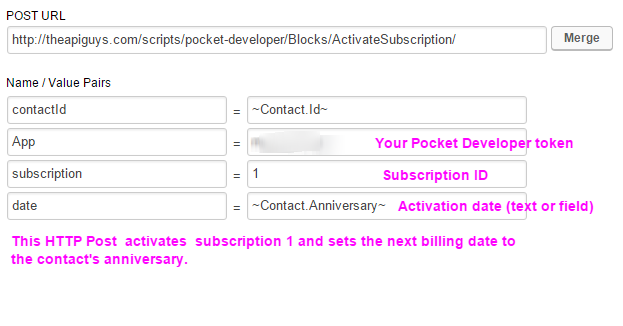 This parameter allows you to set a future date for the next billing date of the subscription. If no date is passed or if the date is in the past, then the subscription’s default next bill date will be used.